What is the advantage of a flat bottom steering wheel besides leg room? What is the advantage of having a flat bottom steering wheel over a round one besides leg room? Some people think it looks cooler.. 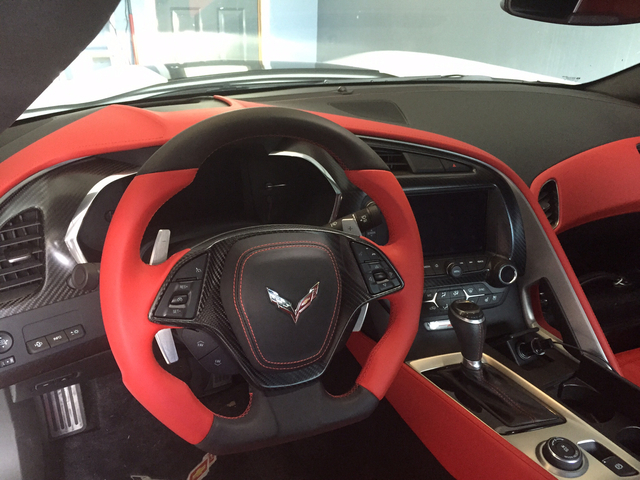 So why the change on all 2016 C7's to the flat bottom steering wheel? 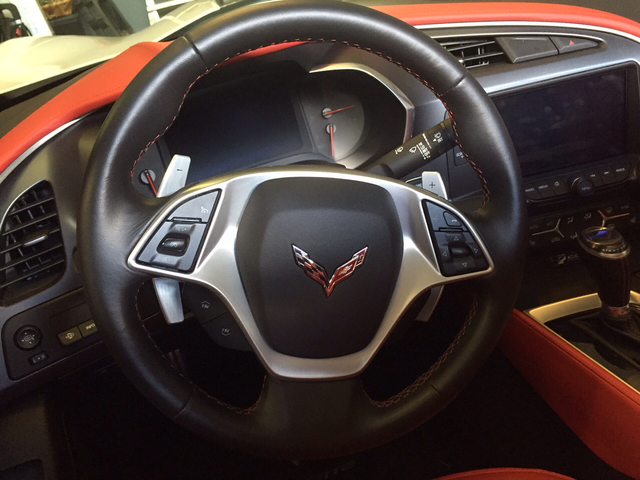 I have never owned a vette with a flat bottom steering wheel and am wondering if it feels different to hold onto? It doesn't feel any different. How many times do you have one of your hands on that part of the wheel while driving? Probably never. In a street car there is no advantage except appearance. Well, it's got a flat bottom, so yes it feels different. You can also use it to determine if the wheel is straight on corner exit while watching the road. New fad, like the black wheels, a lot of new cars now have the flat bottom wheel. Glen is right-originally, they were made for more legroom. Many of the exotics (Lamborghini, Ferrari, Pagani, etc...) are using them. So the Corvette has a more "exotic" look and feel with them. Being that the C7 took styling cues from the European exotics, it seems to follow suit. Plus, the 2014's and 2015's did not come with them. So you can always buy one of those if you don't like them in the 2016's and beyond. Plus, Harlan Charles personally checked out my C7 at the Bash last April. He REALLY liked the work I'd done on my car. I told him that the C7 MUST get a flat-bottom steering wheel moving forward. He agreed-and THAT'S why you now see flat bottom steering wheels on all C7's! Depletes your bank account? What do I win? Yeah, I'm sure it does. Cosmetics. If you get a properly designed one they are meatier and have different grab points molded into them where you hold the wheel. New....Much better looking, better ergonomics, not boring. And that leather horn pad, S2T paddle shifters and the CF bezel is like ****! Last edited by Z06 1of38; 12-02-2015 at 10:29 PM. I don't have one, flat bottom S/W but it makes you think your climbing into a cockpit, don't have that either. Driven with both types of C7 wheel. As already stated, the main difference imho is space. If you got long legs or big legs there is definitely an argument for legroom. Easier to get in and out of the car without adjusting the wheel. Are they $250? Not sure if I'd spend the money myself, but not a bad update in a car that's a tad cramped. what is the price range of these wheels? Quick Reply: What is the advantage of a flat bottom steering wheel besides leg room?